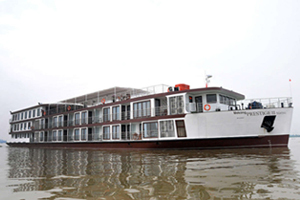 Heritage Lines has launched its latest flagship, the Jahan, and is bringing cruising along the Mekong River to new heights. 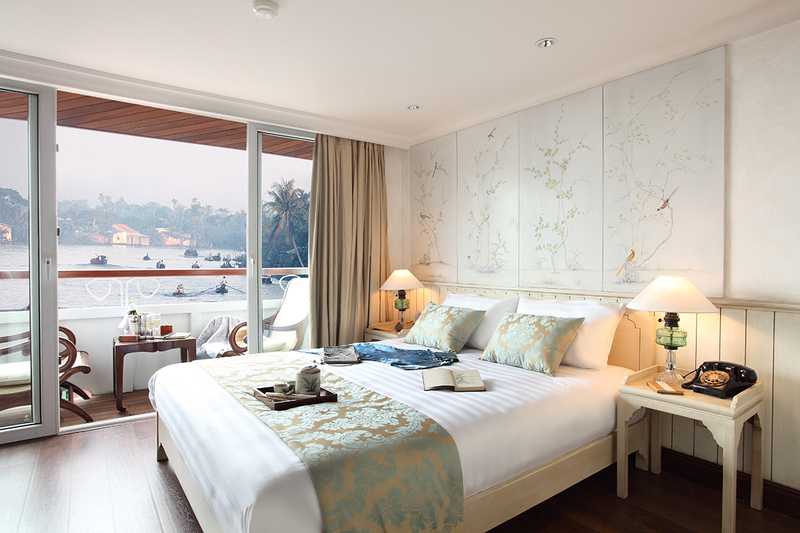 With its spacious and elegant suites, all of which have its own balcony, and private tours and services that include private pool, spa facilities, Tai Chi, and other enriching activities, the Jahan provides an unforgettable experience for small groups and couples who want to cruise along the Mekong. 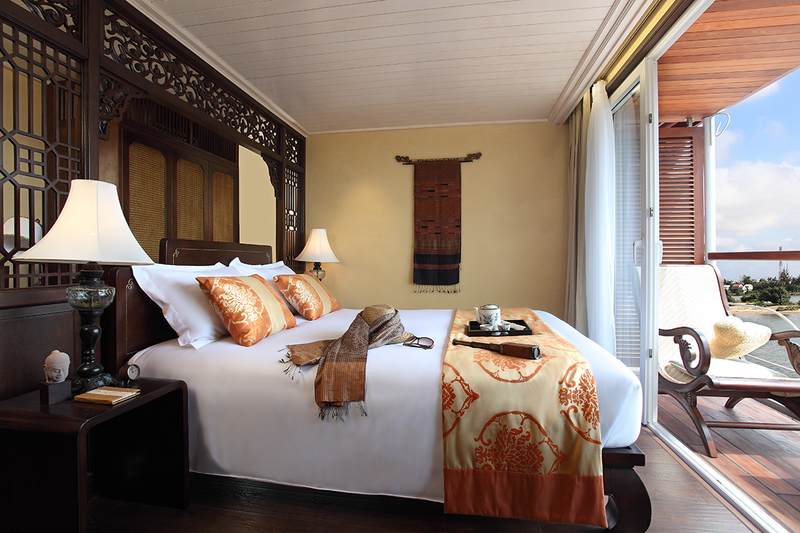 During its first year, Travel Indochina has been provided with exclusive allocation rights which guarantee availability. 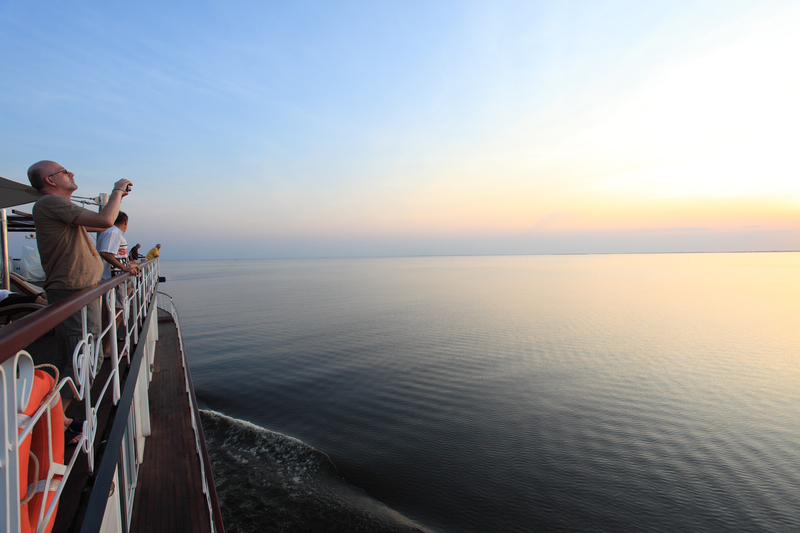 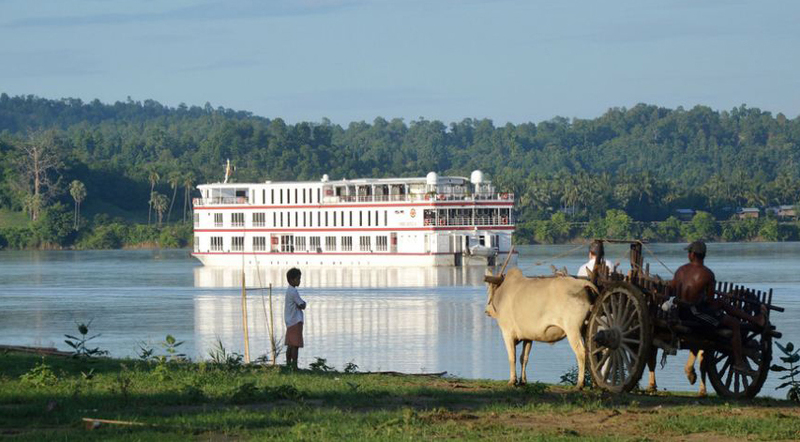 Making its debut cruise last 2011, the Jahan has already made a name for itself as one of the premier cruise liners. 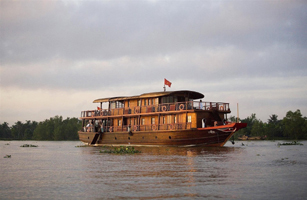 The Jahan provides guests with world-class amenities and services of a deluxe hotel as it cruises through Indochina along the Mekong River. 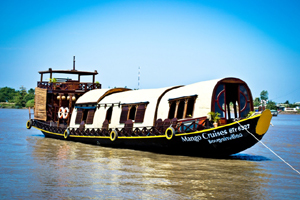 The Jahan follows the design sensibilities of British Indian colonial architecture, and boasts luxurious accommodations, facilities, and activities yet to be established within the region. 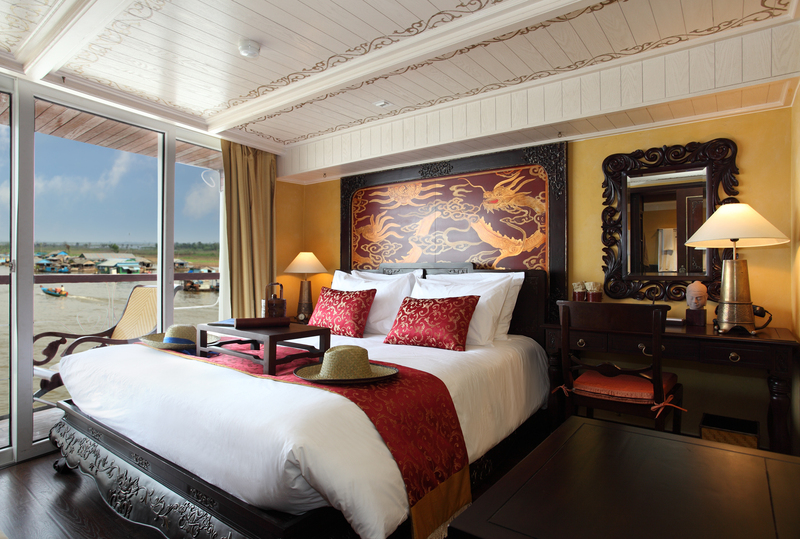 The 26 suites and staterooms were meticulously designed and feature ceiling to floor windows that peer out into private balconies. 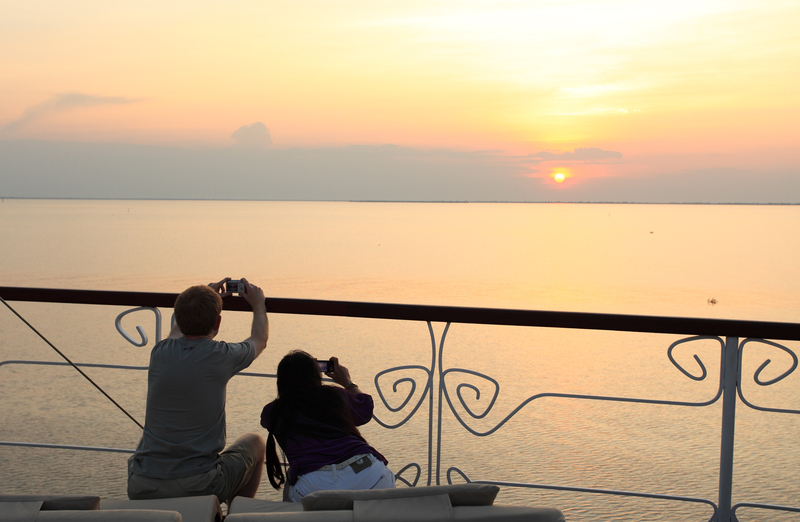 The Jahan offers unforgettable activities such as cyclo tours, ox cart rides, educational lectures, bicycle and dinghy tours, Khmer cooking classes, poolside barbecues, Tai Chi classes, and delectable dinners in the Observatory. 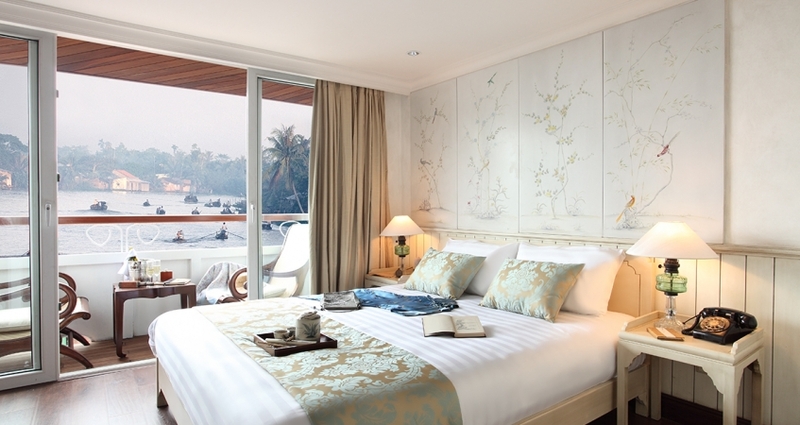 Superior Stateroom: Superior Stateroom is 30m2 on the Upper Deck with balcony. 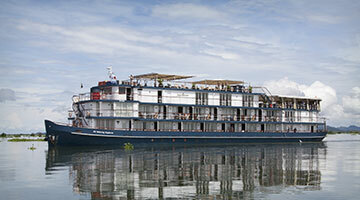 Deluxe Stateroom: Deluxe Stateroom is 30m2 on the Upper Deck with balcony. 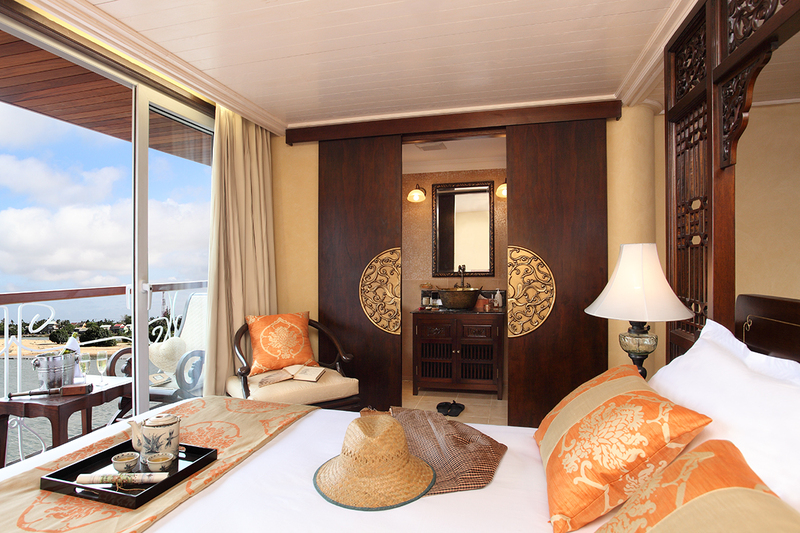 Signature Stateroom: Signature Stateroom is 32m2 on the Upper Deck with balcony and 35m2 on the Main Deck with balcony.